eCommerce user-generated content (UGC) refers to written or multimedia content related to your brand that's created by someone unofficially affiliated with your business. User-generated content, such as product reviews, social media integration, FAQ forums and discussion boards, directly connects your brand with customers. This authentic content is personalized, socially-integrated, insightful and transparent. Best of all, it builds trust with consumers and ultimately translates into business success and scalable growth. In a crowded eCommerce market, establishing third-party credibility is key to creating consumer trust. Brands who utilize user generated content demonstrate authenticity and typically generate more positive responses from consumers. With consumer trust at an all-time low, third-party reviews offer significant potential for businesses looking to make an impact online. 82% of consumers consider user-generated product reviews extremely valuable and 70% of consumers look at ratings or reviews before making any purchasing decisions. As a result, brands who incorporate reviews within product pages can bolster their credibility and encourage consumers to purchase. Amazon does a fantastic job including optimized product reviews in its content marketing strategy. Potential buyers can not only give products star ratings, but they can also interact with other buyers through Amazon’s customer Q&As. This level of two-way communication helps brands personally relate to consumers and build trust. If you haven't added customer reviews to your website yet, we highly encourage you to explore this option. Social media and influencer marketing is one of the most notable forms of user generated content. These mediums are so successful because they promote real-life applications of products and services. Furthermore, they extend the reach of content to new networks and help brands engage with new potential customers. For example, let’s say you run a furniture store and you want to showcase different items to your customers. Integrating photos from your Instagram account on product pages can show potential buyers how the pieces of furniture can be used in real-life environments. These type of posts tell a story of positive customer experiences, which helps shoppers to better imagine themselves using your products. Additionally, brands can leverage hashtags and influencer connections to source other high-quality content onto their product pages and feeds. Successful UGC campaigns use customer photos communicate a lifestyle and not just a product. 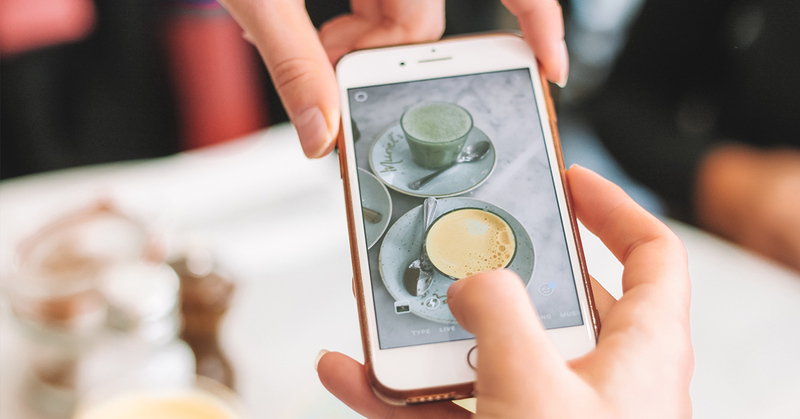 Although Instagram is arguably the strongest platform for photography marketing, we recommend exploring other platforms based on your business. Many brands have also found success running promotions or incentives to encourage social sharing. If you take this approach, be sure to incorporate hashtags and to ask your consumers to tag your business in their posts so you and others can find the content. Although this form of UGC doesn't apply to every business, it can help specific brands improve customer confidence. In many cases, FAQ content takes form as a brand-created page. However, consumer-accessible FAQ forums and discussion boards offer a unique opportunity to directly connect with existing and potential customers. Creating public FAQ forums and discussion boards allows customers to share real-life stories and suggestions. This can lead to increased confidence from potential buyers. Additionally, this approach helps marketers spend less time frequently updating FAQs pages because consumers take on the majority of the lift. If you adopt FAQ forums as a form of eCommerce user generated content, we caution you to actively monitor these pages for comments and complaints. Brands should use this opportunity to personally connect, address issues and create positive experiences that encourage repeat conversions. Specifically, Yotpo helps display Q&A, ratings, reviews and photos at key conversion points across your website and social media accounts. Additionally, Yotpo’s AI-powered solutions leverage and collect ratings and reviews to turn consumer content into sales conversions. Finally, customizable widgets motivate shoppers to write on-site reviews. Overall, this tool has helped many of our clients centralize their eCommerce user generated content efforts and maximize return on investment. There is no secret formula that will work for every business. However, properly implemented user generated content can grow your brand for the long-term, improve customer lifetime value, lower cost of acquisition and improve other traffic-driving activity. If you haven't explored this marketing tactic yet, we highly encourage you to continue your research journey and to learn more. If you’re in need of more information, fill out the contact form below and we’ll happily answer any questions you may have.